Last week I turned twenty-five. I’m still not over it, but the plan for this year is to say yes and to travel, so I spontaneously booked a city break to Prague to celebrate (read: forget) turning a quarter of a century. 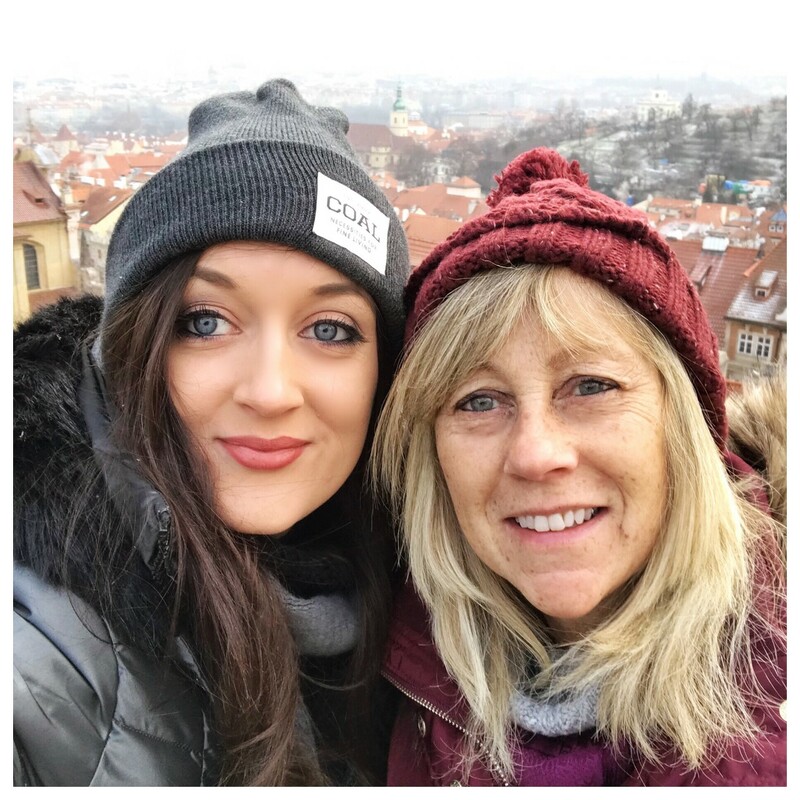 After four wonderful days of exploring, walking over 70,000 steps and almost 38 miles, taking in all the beautiful sights and eating our way across the city, it’s safe to say I have fallen in love with the Czech capital. Despite being the fourteenth largest city in the European Union, Prague feels small and friendly, and it’s super easy to find your way around. It’s filled to the brim with beautiful buildings dating back to the Gothic, Renaissance and Baroque periods, and has a rich history, being the historic capital of Bohemia. Winding through its centre is the stunning Vltava River, and boasting an array of museums and art galleries, it’s no wonder that Prague is a listed World Heritage Site. All streets in Prague’s Old Town lead to the beautiful Old Town Square. It’s a gorgeous open space, surrounded by brightly coloured buildings, with cafes spilling onto the cobbles enabling you to dine al fresco; lots of pretty stalls, delicious street food, and the sound of music filling the air; and, of course, featuring the gorgeous Tyn Cathedral and the world-famous Astronomical Clock. It’s hard to miss what’s known as the “beating heart of the city”, because the winding alley ways, filled with delicious bakeries and pretty shops, lead up from the river and other districts, and all end up here. One of the best features of the Old Town Square, however, has to be the Astronomical Clock. In the Middle Ages, this clock was considered one of the wonders of the world. It’s no wonder that this magnificent timepiece, which provides a beautiful show called the “Procession of the Apostles” when the clock strikes the hour, is swamped with viewing tourists every day. It has been a centre point of the city for over 600 years and is definitely worth a visit. We happened to arrive there by chance at 11am on the first day, and it really is lovely to watch. You can even climb to the top of the Astronomical Clock Tower to get a panoramic view of the city and square itself. Queues can be long and the cost is 250 Czech Koruna (about £8.50), but there is a museum situated within the tower too. 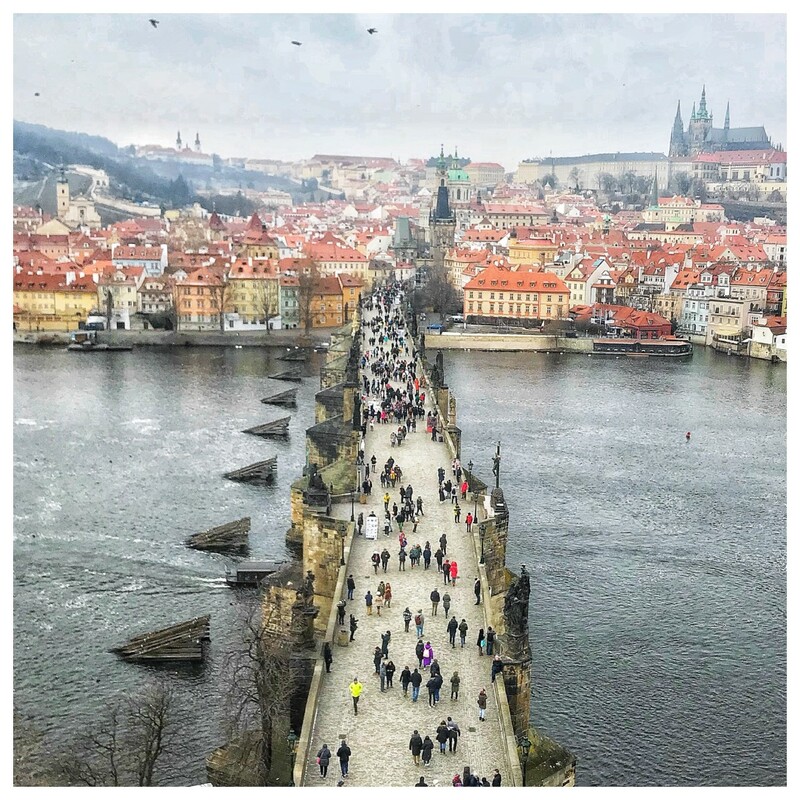 Another must-visit area (and one you’re bound to come across on a daily basis) is Charles Bridge. This was probably my favourite part of the city, as it’s rich in history and from there you can take in the sights of the Lesser Town and Prague’s magnificent Castle Quarter, as well as watch the boats bobbing along the Vltava River. Charles Bridge is an historic bridge, which took approximately 70 years to build and was completed in the early 15th century. It was once the only link between Prague’s Old Town and the Castle, and had a vital role in making Prague an important trade route between Eastern and Western Europe. The bridge is “protected” by three towers, one of which is called the Old Town Tower, and here you can pay 100 Czech Krona to climb to the top and take in the amazing view, and you’re also able to visit the musuem rooms on various tower floors. We did this and I really loved it, but you definitely need a head for heights! 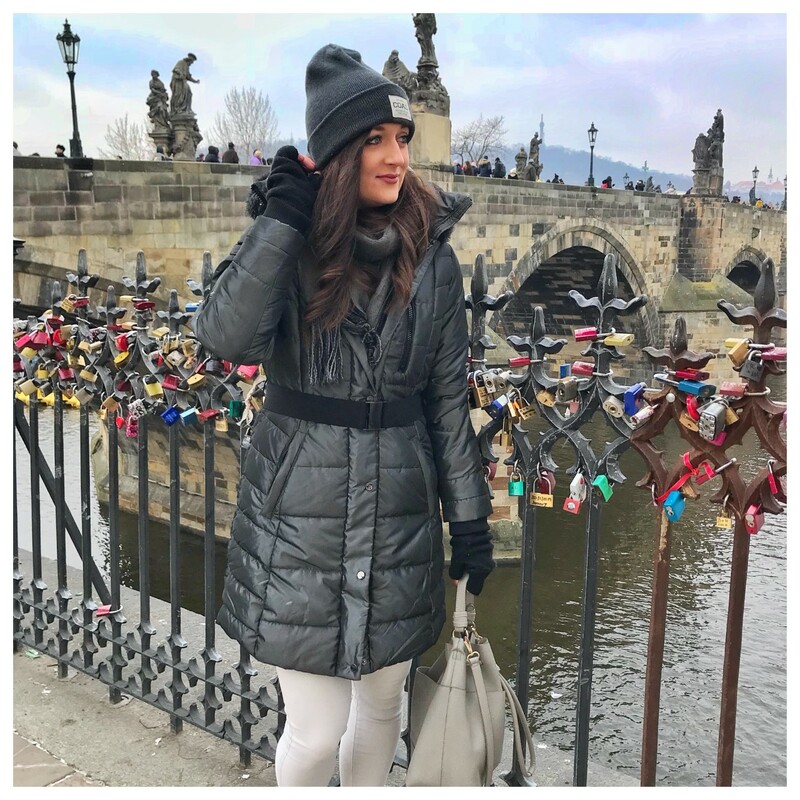 Whilst crossing the Charles Bridge you will come across people from all walks of life, taking photos, busking and even a man holding some gigantic brightly coloured doves to pose with (aka. my worst nightmare). It’s really pretty and the thirty statues dotted along the bridge, which depict various patron saints structured in the Baroque style, all have a story to tell. Word of warning though, it can get extremely busy, even busier I’m told in the summer months. I’d suggest getting along there earlier for a more pleasant experience. One thing I really wanted to do while in Prague was a river cruise. You can go at any time of day or night, and can even be wined and dined on them, but we opted for a 50 minute tour accompanied with a hot mulled wine and cake, that took us along the river and into the little canals. It’s always nice to see the city from a different angle, and the tour guide was great too. We learned alot about the city and the river, and also had access to the Charles Bridge Museum. 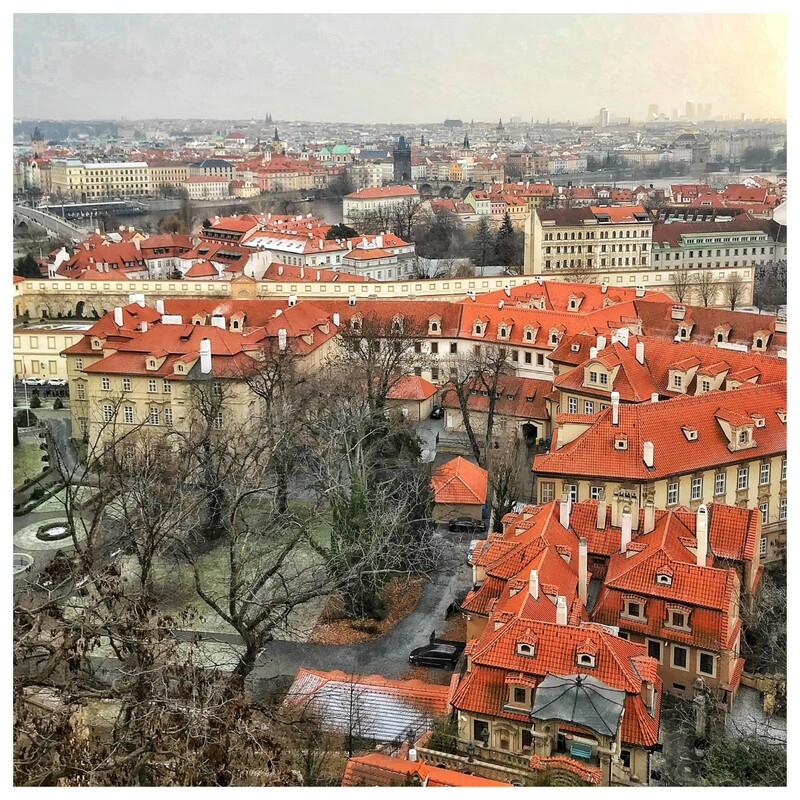 Whether you’re looking at the amazing architectural wonders situated within the Castle Quarter, or you’re stood at the castle’s view point looking down at the cityscape sprawled below, you really must visit this incredible part of Prague. The complex dates from the 9th century, and features the magnificent St. Vitus Cathedral, 10th century-built St. George’s Basilica, and many museums, galleries and places to wander around. We booked a full-access ticket into the buildings within the grounds, although you can have a look around for free, which was definitely worth the 350 CZK (almost £12). 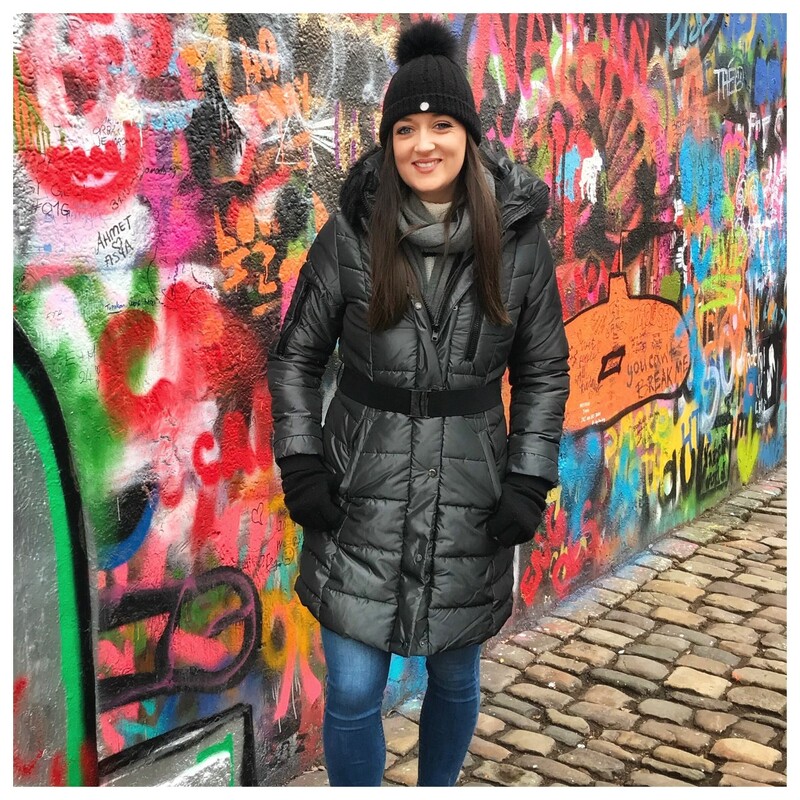 You really got to learn all about the history of this magnificent city, and we particularly liked Golden Lane, which is a little row of buildings with cute shops, mini museums and rooms depicting what life was like for those living there. You really need a good four hours to explore the extent of the Castle Quarter, and I’d say to make a day of it by watching the Changing of the Guards and grabbing a coffee and some decent Czech food too. Wherever you are in the city you will see people eating these delicious looking “chimney cakes”. These are officially named as Trdelnik, and are cakes baked on a spit and made from rolled dough that is topped with a sweet sugary walnut mix. 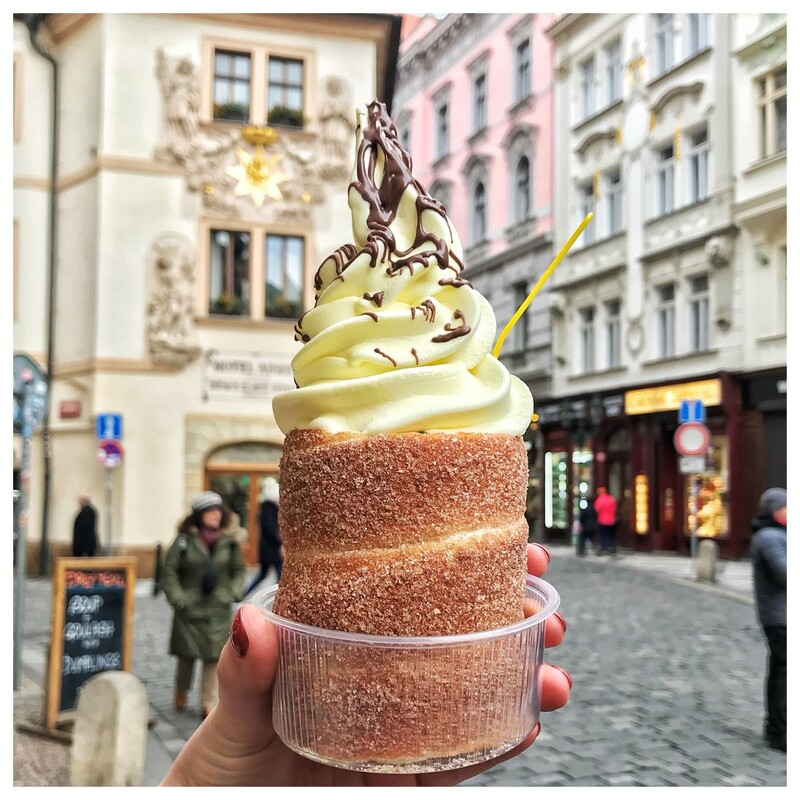 You can have them filled with ice cream, fruit, or chocolate and they’re a must-eat when in Prague. The best way to eat them is whilst exploring the city, and one of my favourite parts was Mala Strana. This area is situated just across the Charles Bridge in the Lesser Town on the slopes of Prague Castle, and features some seriously beautiful architecture. The area was devastated by fire in 1541, so now the buildings are mostly of the Baroque style, and are painted in dazzling colours. Prague has a rich and long history, but one of my favourite things to see was the John Lennon Wall. While considered to be one of the “cooler”, more modern parts of historic district Mala Strana, it has a pretty interesting history. It sprung up post-1948 and was filled with written protests, as a way to express against the Communist takeover. All in all, Prague is a truly amazing place and visiting there has really made me want to visit more European cities. It’s just so easy to catch a two hour flight and to find yourself in a completely new place, and the added culture and many things to do made the trip so worthwhile. 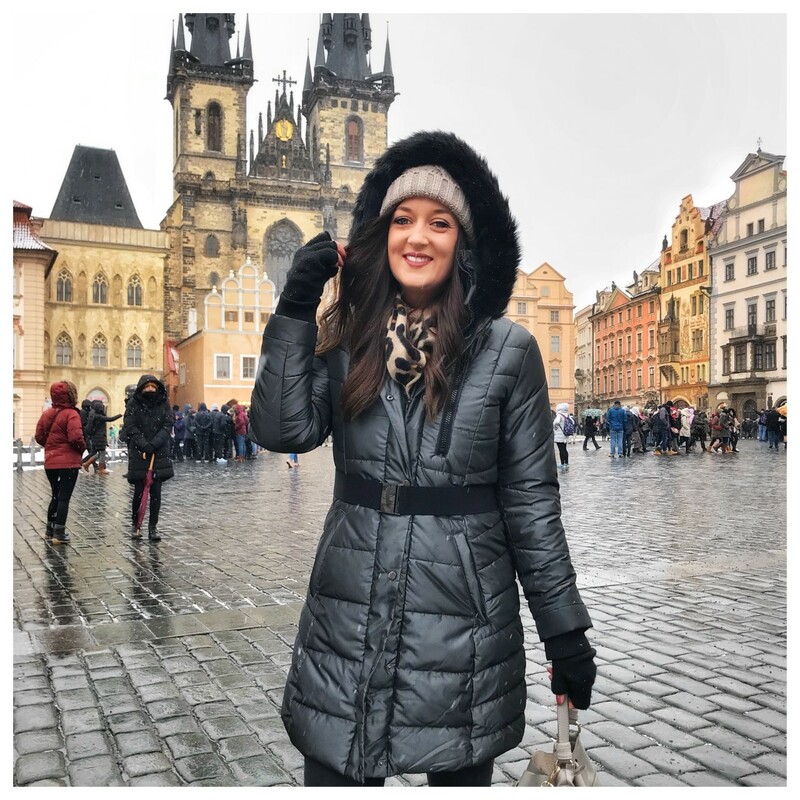 We stayed at the Hotel Majestic Plaza, which was situated just off Wenceslas Square, and from there we were able to stroll through the city, passing it’s pretty sites at ease. Seeing September as a fresh start. 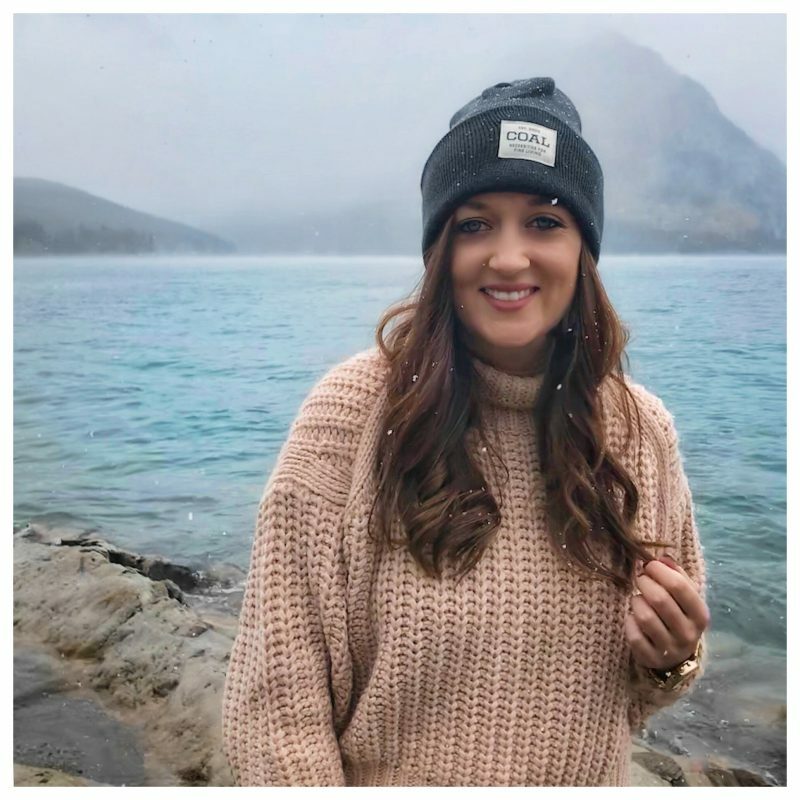 Previous Post Thoughts on my 25th birthday. Next Post Hello there, jessie-ann.co.uk. I really want to go to Prague because it’s looks like it’s got so much to see!